Missed a couple of postings. Guess I'll blame houseguests which we are getting regularly these days. We enjoy all of them. 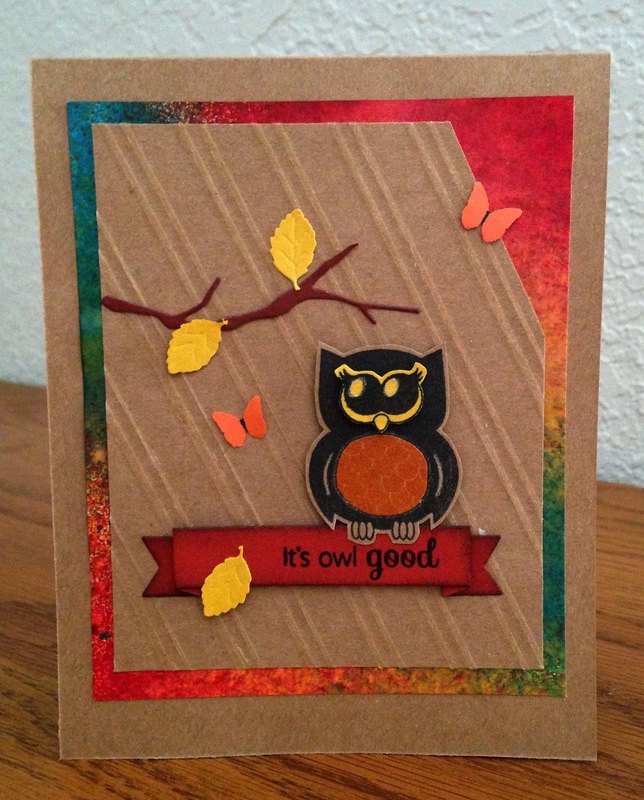 The cooler and shorter days are already making me think of autumn and so did this cute owl image. He's stamped and die cut and placed on the card with foam tape. I stamped the text on the banner which is also popped up. Branch is die cut and leaves and butterflies are punched. 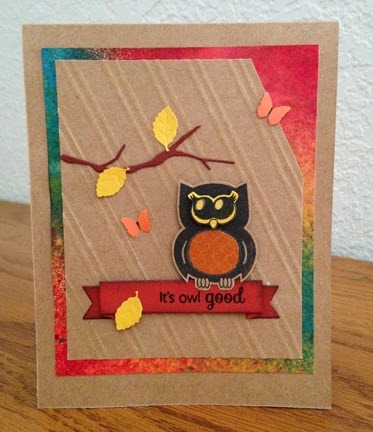 The colorful background is Dy-lusions spray on white cardstock and the stripes are from a Darice embossing folder. Whooo, whoooo.